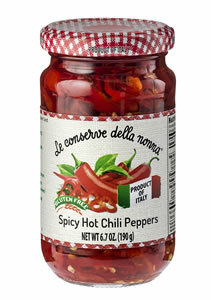 Italian hot chili pepper, from fresh processed, cut into rings and preserved in oil. hot chili pepper 58%, sunflower oil, sugar, salt, wine vinegar. Gluten free.